What is a glacier and why do we care? We can define a glacier as a body of ice that remains year round, and moves downhill under its own weight. 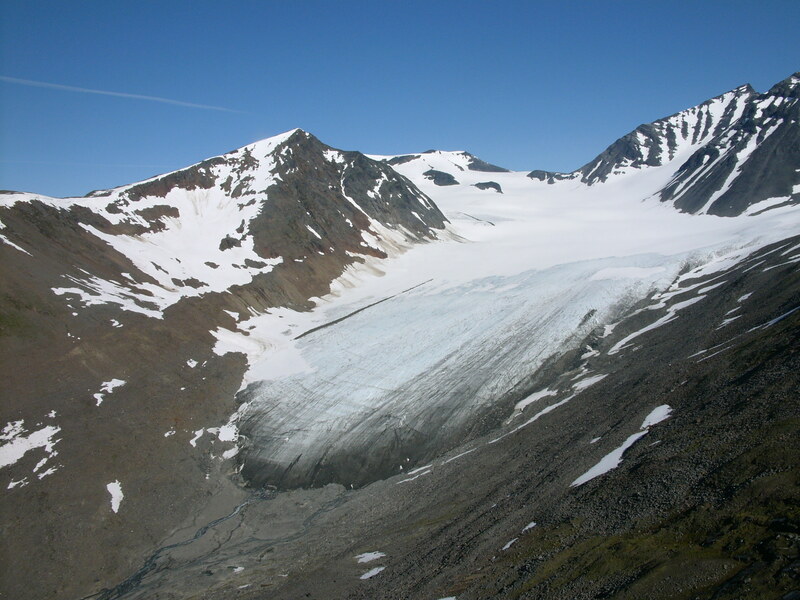 Glaciers are formed over long periods of time, where accumulation (falling and windblown snow) exceeds ablation (melting of snow and ice), and the snow compacts to form ice in a process called firnification. In today’s warming world, glaciers are responding to climate by experiencing mass loss, where ablation exceeds accumulation, both through retreat of their termini and through lowering of the ice surface. This mass loss is influenced by air temperatures, which drive increased melting, and by increased ocean temperatures, which drive calving (iceberg production). Glaciers and ice sheets (land-based glacier ice at least 50000 square kilometers in size) currently cover around 10 % of the Earth’s surface, containing around 75 % of freshwater on Earth; enough to cause a sea level rise of around 70 m.